Mr. 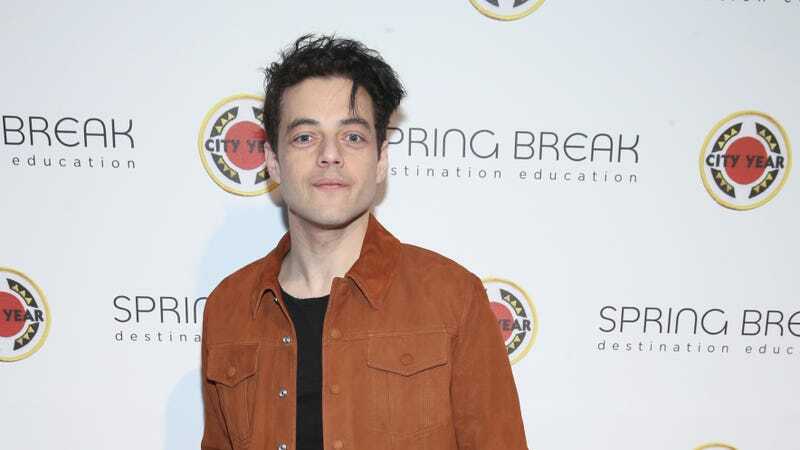 Robot can be a fun show, but it also takes place in a universe that is slightly more bleak and apocalyptic than our own, so star Rami Malek and creator Sam Esmail are teaming up for another project that’ll give them a little break from Mr. Robot’s hacker conspiracies. According to Deadline, Esmail is set to direct and produce an adaptation of Tamer Elnoury and Kevin Maurer’s memoir American Radical: Inside The World Of An Undercover Muslim FBI Agent, which—as indicated by the wordy title—is about a Muslim man who joined an FBI counter-terrorism group after September 11 and worked undercover to try and bring down a terrorist cell. Rather than an action-packed thriller, it sounds like the story will involve more quiet tension, with Elnoury (the agent) working to prove that the group he’s with actually planning some kind of attack. Malek will be playing Elnoury, and Deadline says Universal is currently looking for a writer to take care of the script.